This site is dedicated to preserving the history of the John William "J.W." 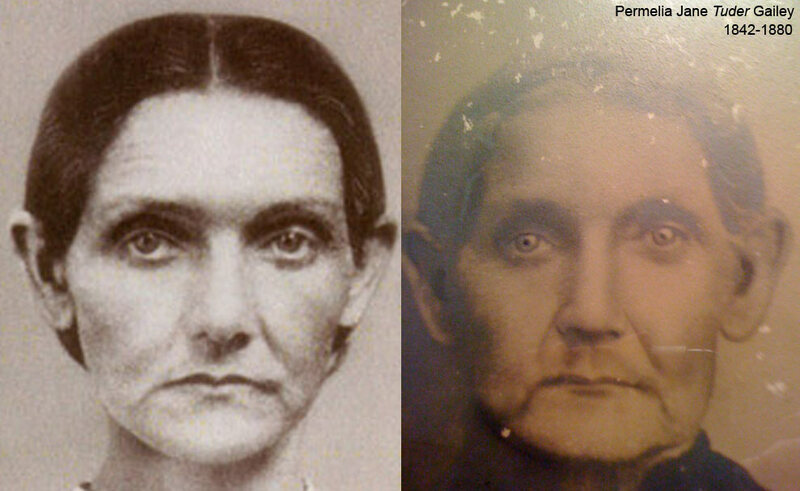 Gailey family who lived north, central, and west Texas. This is a work-in-progress and we encourage anyone with information or photos to share to please contact us at sh_sixman@hotmail.com. Keep up with newly published family stories on the blog "They Walked Before Us" which includes articles on the Gaileys, related families, and related communities. Click HERE to view the blog. 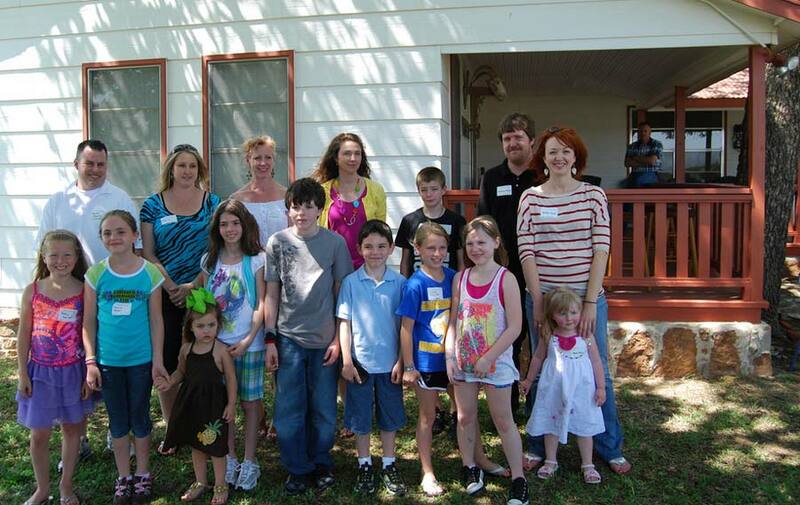 The 2011 Gailey Family Reunion was held on Saturday May 7, 2011. We had just over 100 in attendance, which is a new record for the Gailey family. The event was located at the New York Hill Restaurant in Thurber, Texas followed by a trip to the beautifully restored J.W. Gailey home south of town. We will be posting photos, videos, and other information about the reunion. Dovie Gailey Hunt introduces the children of J.W. Gailey. A book about the J.W. Gailey family has been completed! Click HERE to order a book from Blurb.com. A sample preview of the book is available on that site. 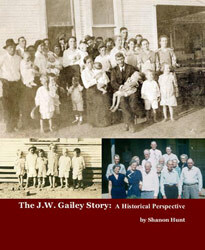 Contact us at info@gaileyhistory.com if you have any questions regarding the book or how to order. J.W. 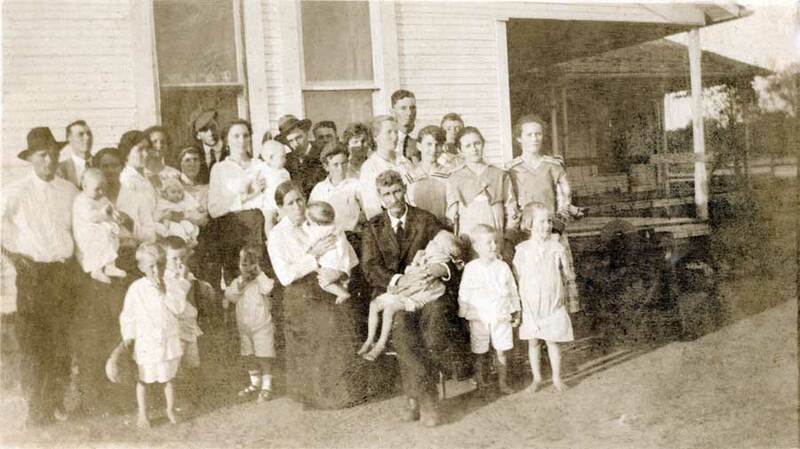 Gailey Family in 1917 - At ranch house south of Thurber. Younger Generation of Gaileys - At ranch house south of Thurber standing in the exact location of the 1917 photo.